The world is so unkind to pharmaceutical agriculture that some pharmers have gone underground to conduct their Doctor Moreauvian experiments. 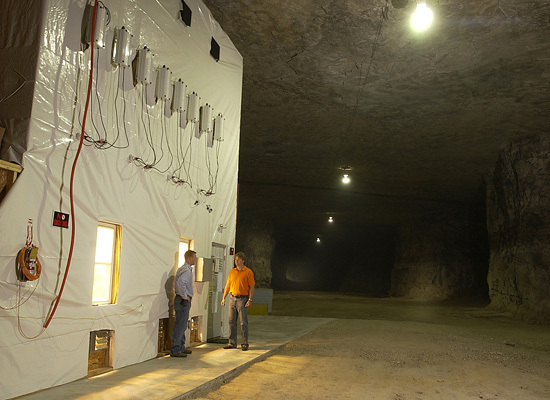 In an article published a little over two years ago in Wired, we learn that a team of scientists from Purdue University, in partnership with Controlled Pharming Ventures LLC, had designed and built a subterranean experimental field inside a 60-acre former limestone mine in southern Indiana. They did so not to escape the loud protestations of environmentalists and the uncomfortable attention from government regulators and consumer groups but rather for safety reasons, believing that pharming in an enclosed, climate-controlled environment rather than in the “bucolic, sun-dappled landscape” above ground would lessen the chance of their transgenic crops contaminating the regular food supply chain. But apart from wanting to insure themselves against expensive civil litigation and perhaps even from criminal prosecution, the team of entrepreneurs also wanted to develop more efficient techniques and, with encouraging results, jump start a beleaguered industry suffering from bad publicity and government restrictions. Fortunately for them, the initial year-long trial was indeed very promising. 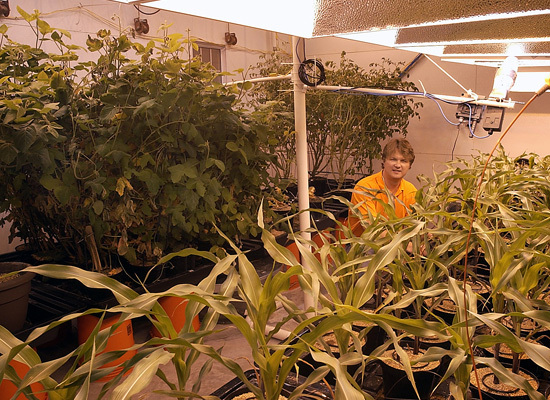 Their experiment showed that their growth chamber generated an average yield of genetically modified corn (267 bushels per acre) higher than that of normal field corn in the U.S. (142 bushels per acre). If cave pharming does indeed catch on in the pharmaceutical industry, how would that actually be manifested in the landscape? One could easily imagine, among many scenarios, Monsanto and Johnson & Johnson combining their expertise and their billions of cash to excavate a complex of scalable void farms, some of which are dug so deep that hydrothermal energy can be harvested to power the entire tunnel network, beneath obsolete farms that have been returned back to their pre-agricultural state or converted into either the new Yellowstone to mask the aberrant activities occurring below or a Pleistocene Park as surface evidence of a subterranean biotech utopia. Going into a somewhat different trajectory, specifically to continue a line of speculation from a previous post on an African bridge house: can someone be fundamentally altered — like the corn they're cultivating to produce cancer cures — while living quasi-permanently in flourescent-lit dampness and hermetic seclusion, detached from the vagaries of weather, time and natural pollination, amidst pure geology? Wow. The future starts now. These underground biomes will shortly become carceral cities for the new breed of agricultural laborers. Illegals, miscreants, convicts will all be sent, Metropolis-like into the depths. Surface border controls will be meaningless, but new controls will separate those above and those below. The above-ground petro-based agriculture will be replaced by hydrothermal machinery underground, inclusive of cave-dwelling bovines, leaving surface dwellers free to consume all the airmiles they like. Hey e-tat, great to hear from you again! Your comments have been immensely missed! Well, we sure are going to have to find other ways to mass produce food or it's game over for most humans. I like e-tat's scenario too.